To study lipiodol deposition in portal vein tumour thrombus (PVTT) in predicting the treatment outcome of hepatocellular carcinoma (HCC) patients after transarterial chemoembolisation (TACE). We retrospectively reviewed data from 379 HCC patients with PVTT who underwent TACE as the initial treatment at Sun Yat-Sen University Cancer Center from January 2008 to December 2015. Patients were grouped by positive and negative lipiodol deposition based on the extent of lipiodol deposition in PVTT. The overall survival (OS) and progression-free survival (PFS) were compared between negative and positive lipiodol deposition groups; furthermore, the value of the combinatorial evaluation of tumour responses and lipiodol deposition in PVTT in predicting prognosis was analysed in subgroup patients with stable disease (SD) after TACE. Of the 379 patients, 264 (69.7%) had negative and 115 (30.3%) had positive lipiodol deposition in PVTT after TACE. Multivariate analysis identified positive lipiodol deposition in PVTT as an independent prognostic factor for favourable OS (p = 0.001). The median OS and PFS of negative and positive lipiodol deposition groups were 4.70 vs. 8.97 months (p = 0.001) and 3.1 months vs. 5.8 months (p < 0.001). In subgroup patients, the median OS and PFS of negative and positive lipiodol deposition groups were 4.7 months vs. 10.5 months (p < 0.001) and 3.5 months vs. 7.0 months (p < 0.001), respectively. The patients with positive lipiodol deposition in PVTT had a longer OS than those with negative lipiodol deposition. Furthermore, the positive lipiodol deposition in PVTT can further differentiate HCC patients with favourable prognosis from SD patients. • Lipiodol deposition in PVTT is a prognostic indicator for HCC patients after TACE treatment. • Positive lipiodol deposition in PVTT is associated with a better prognosis. Binkui Li and Yunfei Yuan are senior authors who contributed equally to this work. Zhiwen Yang and Ruhai Zou are co-authors who contributed equally to this work. The online version of this article ( https://doi.org/10.1007/s00330-019-06157-0) contains supplementary material, which is available to authorized users. 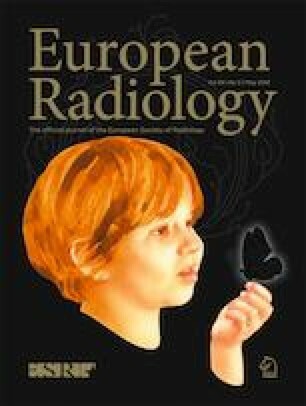 We thank Mr. Filip Ivkovic from European Society of Radiology for his help with the editing of the language. This study has received funding from the National Natural Science Foundation of China (No. 81372571), the State “973 Program” of China (No. 2014CB542005), the Sun Yat-Sen University Clinical Research 5010 Program (No. 2012010), and the Fundamental Research Funds for the Central Universities (No. 17ykzd34). The scientific guarantor of this publication is Yunfei Yuan. Written informed consent was obtained from patients in this study.